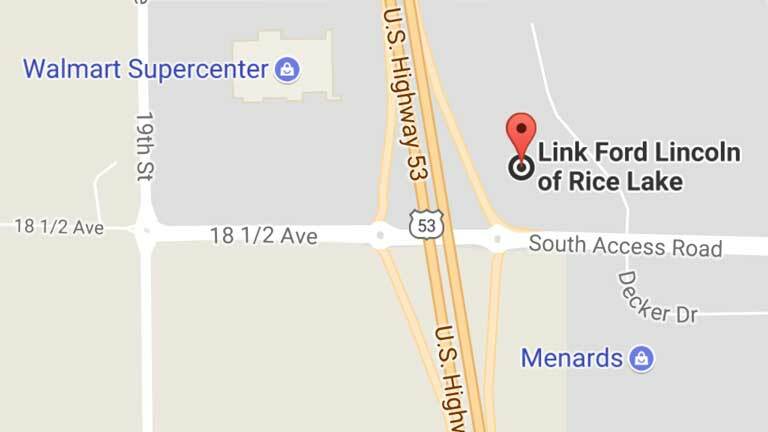 In our Parts & Accessories Department at Link Ford Lincoln and RV of Rice Lake, we are here to serve YOU. We carry the most common genuine Ford and Lincoln OEM Parts, hard to find parts, and parts for most other vehicle makes and models. Some of the general maintenance items we sell are tires, batteries, brake pads, wiper blades, light bulbs, and fuses, to name a few! To request or order a part or accessory, click one of the links on the left, call us directly at 715-234-8196 or 877-505-1900 or email us at bestdeal@linkmotors.com. For your convenience, we accept PayPal and credit cards online. To request or order a part or accessory, click one of the links below, call us directly at 715-234-8196 or 877-505-1900 or email us at bestdeal@linkmotors.com. For your convenience, we accept PayPal and credit cards online.